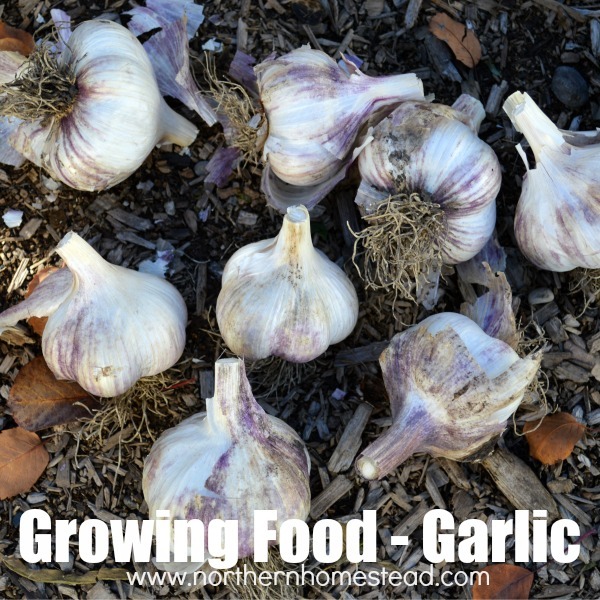 If you are into growing food – garlic is a must have in the garden. 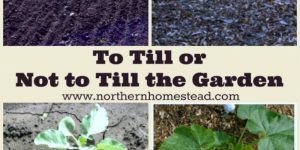 Read on to find out how to plant, grow, harvest, store, and use the superfood, garlic. Garlic is a crop that is easily grown and goes a long way in the kitchen. So many dishes just taste better with garlic. Some people love garlic more than others, but it’s good for everyone. Good quality garlic is expensive, so it’s definitely worth growing your own. 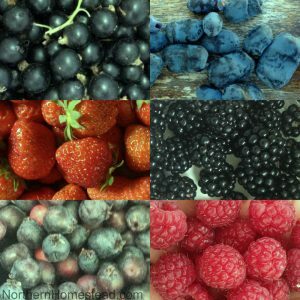 Russian Red is the variety we grow. It is great garlic for cold climate growers. This year I added a variety called Music as well. Since I get the “seeds” from a local farmers market, I already know this garlic will grow well in our climate. I’m not always so sure about the variety though. If you are new to growing garlic, we would encourage you to get some garlic locally that you really like. You can eat some and plant some of the biggest and healthiest cloves in your garden. And there you have it, your favorite variety fresh from your garden. 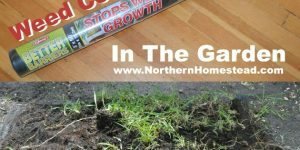 In our Zone 3 garden here in Alberta, we plant garlic outdoors in late September, before the weather changes to cold and rainy. The warmer your climate, the later you can plant garlic. 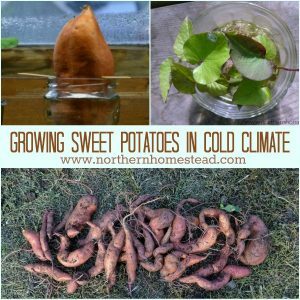 In our cold climate, we plant about 4-6 weeks before the ground freezes. For planting, separate the bulbs carefully so that you do not disturb the cloves. The upper and lower growing points still need to be intact. We plant garlic 6-8 inch apart in every direction. In our cold climate, we plant garlic a little deeper, about 2-3 inches deep, and plant it pointing side up. Before winter we also mulch the soil with compost or wood chips. Garlic can also be grown from bulbils. The bulbils will take 3 years to become full-size garlic. 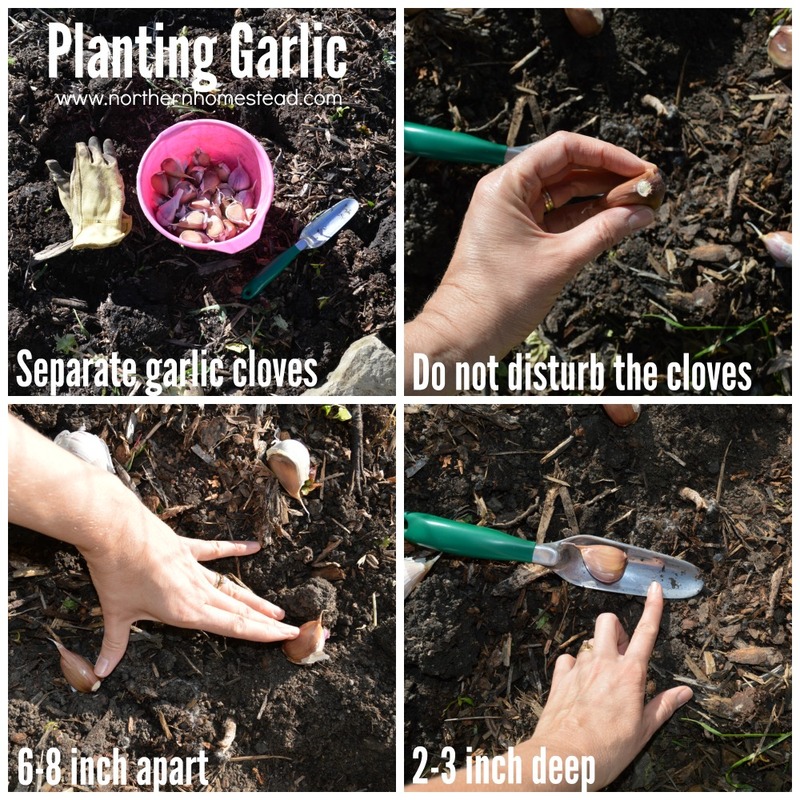 Here is a video on planting garlic from cloves or bulbils (seeds). If you can’t see the video go here. The hard neck garlic always produces lots of garlic scapes. Those are little curly stems that grow from the center of the plant. It will finally produce a flower and go to seeds. To ensure good size garlic you should harvest the garlic scapes and prune the leaves back a little. 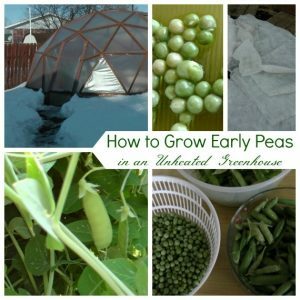 The best time to do this is before the bulb starts to open or the stem gets woody. 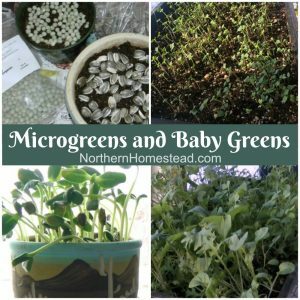 Harvest them when they are still green and soft. 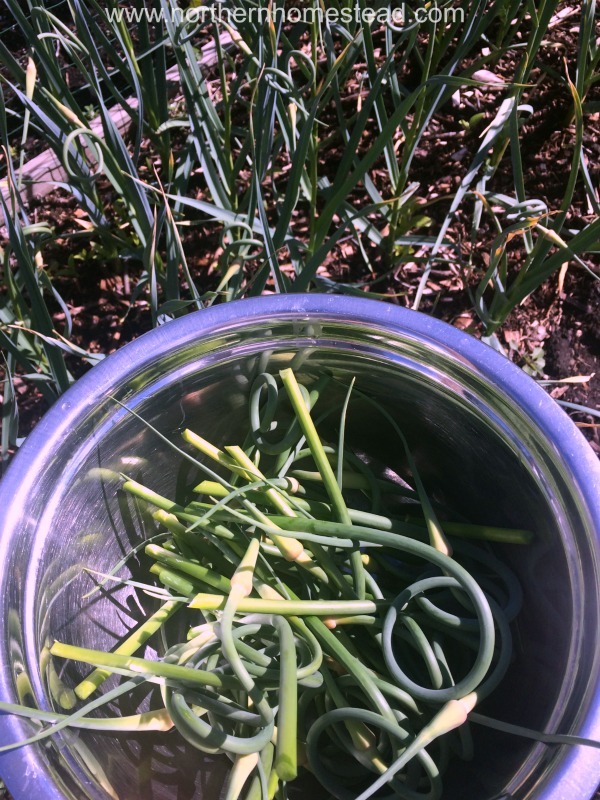 Scapes are a great replacement for garlic in summer recipes. They also make great Garlic Scape pesto (See our favorite recipes below). 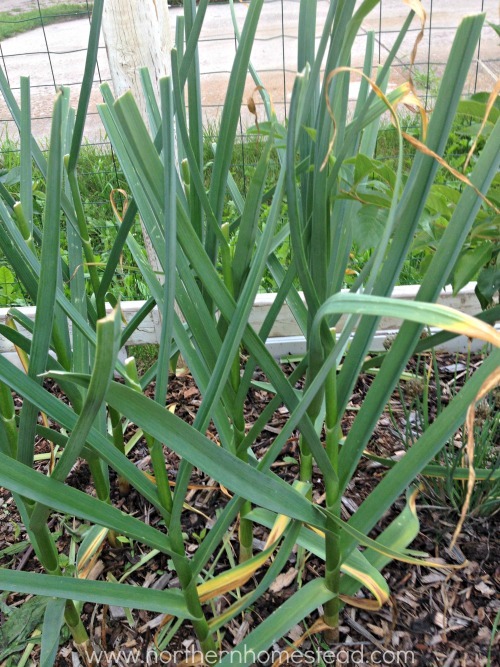 In fact, garlic scapes are one of the reasons we like to grow our own garlic. Garlic is ready when the lower 4 leaves have yellowed and dried and the upper still green. If you harvest too early, the skin will be very thick and your garlic will have a hard time to dry and store well. If harvested too late, the cloves might split open. 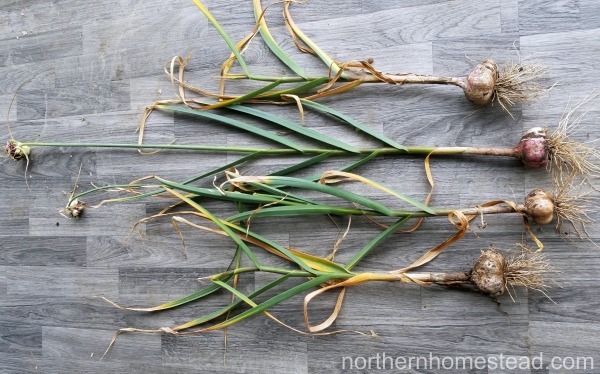 If necessary, loosen the soil with a fork in order to not to disturb the bulb, instead of just pulling the garlic on the stem. How important scape harvesting is you can see in this picture comparison. The bulbs that grew without seeds are just bigger and better. 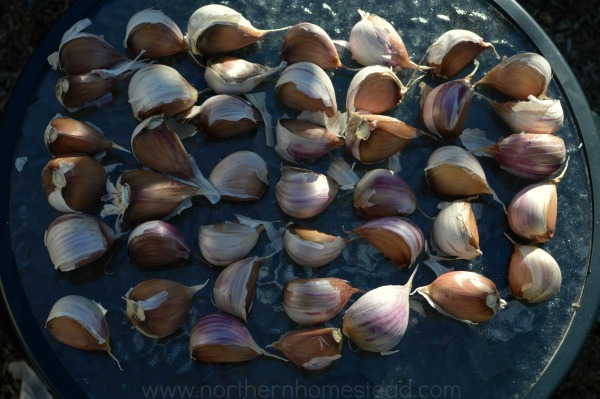 After harvesting it is important to cure (dry) the garlic before replanting or storing it. 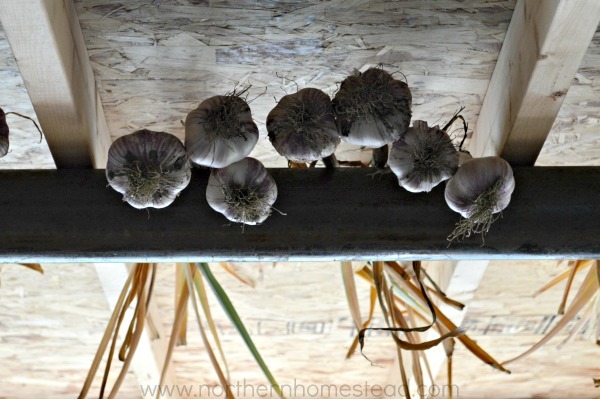 Simply hang or lay out the garlic in an airy place so the bulbs can dry out. After that cut the stem, leaving about an inch, and prune the roots back. Now your garlic is ready. Note: if at harvesting time some garlic was still green, comparing to others that were ready, it is worth it to separate them and use them first. Unproper dried garlic just does not store well. For storage choose healthy, dry garlic, the bigger the cloves the better. 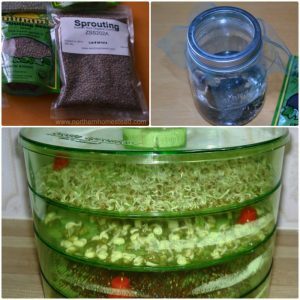 If the garlic isn’t dry it can get mold or start to sprout. So make sure to cure the garlic first. 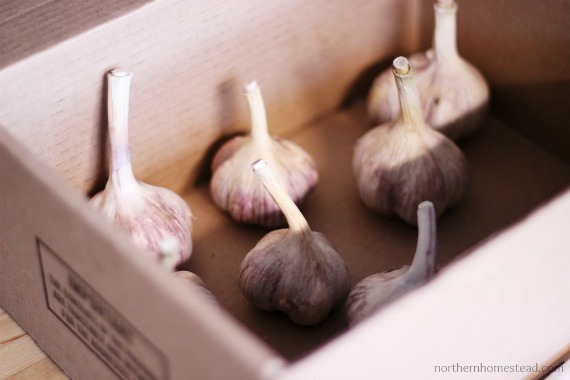 We store garlic in a closed cardboard box – it’s dark and dry in there with some air circulation. The box is stored in the basement (not cold room), where it is a bit cooler and darker than upstairs in the house. 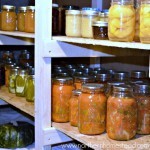 I wrote a whole post about how to store garlic a while back. Garlic is super yummy and very healthy as well. 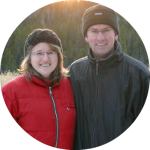 Read more about the medicinal properties of garlic. Fermented, raw, or cooked, garlic makes everything spicier. 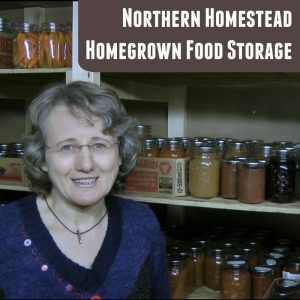 Here are some of our favorite recipes as well as from our homesteading friends (you might want to grow more garlic?). 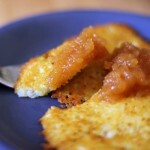 We love garlic in many recipes, please share your favorite in a comment. 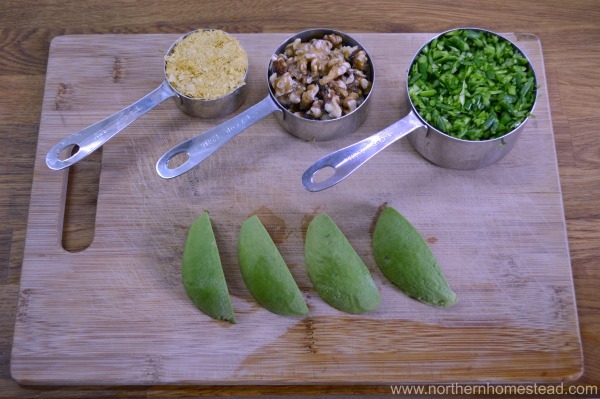 Here is a whole food, plant-based recipe for garlic scape pesto. Combine everything in a food processor and process till the pesto is creamy. To store, place a plastic wrap right on top of the pesto, this way it will not turn brown. 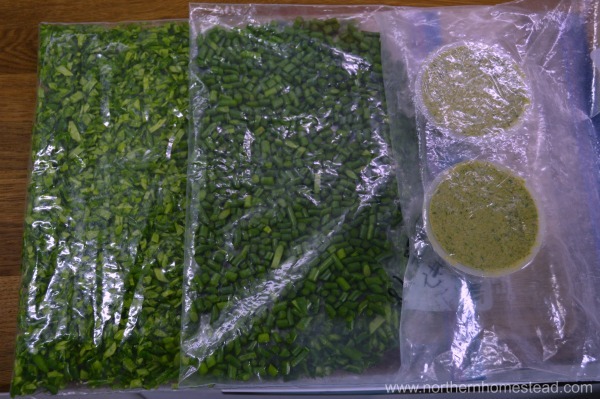 We use the deep freezer to preserve the tasty summer harvest of garlic scapes. 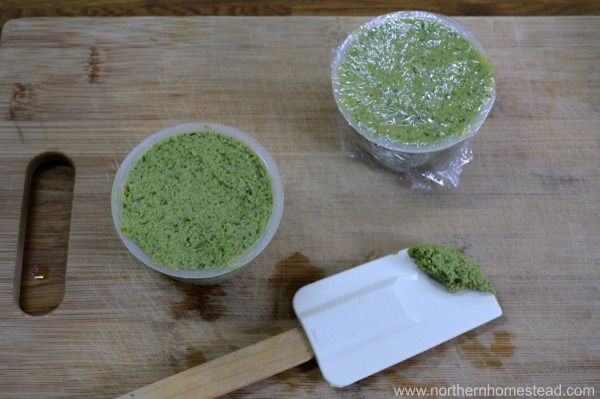 Finely chopped for pesto, or cut for stir-fry and soups, or even the ready made pesto can all be frozen. 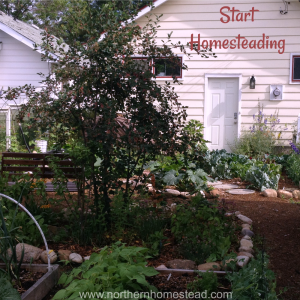 We invite you to subscribe to Northern Homestead and follow us on Instagram, Facebook or Pinterest for the latest updates. Hi. Thank you for your info. 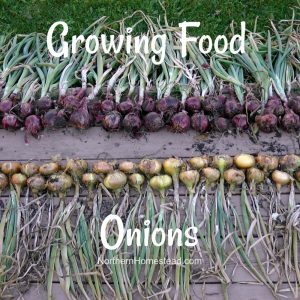 Do you plant your September garlic crop outside in the garden soil? 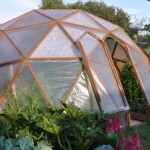 Your photo shows a bin in the greenhouse. I’d like to plant some in my outdoor raised bed (Central Alberta ) We have an infestation of meadow voles this year and so after planting, all i can think of to keep the voles out is to cover the soil with chicken wire and weight it with stones. Do you have any other ideas or comments? Thank you. Yes, we grow garlic outside and plant it in September. The bulbils are also can be planted outside. I just planted some in the greenhouse for garlic chives and to see what they will do. If you can, plant your garlic cloves today before the rain. 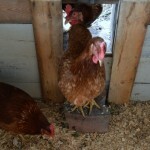 The chicken wire sounds like a good idea to me. 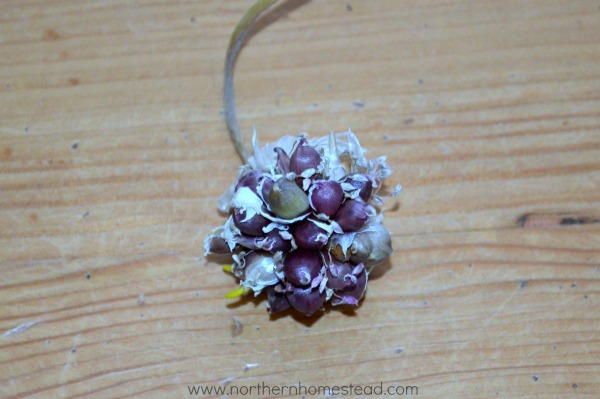 I grew some garlic last year, this year my hubby ate my starter bulb, and I was thinking of trying them indoors. Have you tried that or do you have links to tips,tricks and advice on garlic inside? There is something about the dormancy that garlic needs by being outdoors. That’s why we plant garlic in in the fall, not in spring. If you grow garlic indoors, it will not produce cloves, just a bulb. You are much better of planting your cloves in the fall outdoors. Yes. Music is all the rage now. Fat bulbs compared to my Russian red and Persian star varieties. But not nearly as flavourful. But it looks better at the market so I guess that’s how it goes. I did half my beds with music last year, the rest with German, Russian and my exotic heirlooms. Music jumps off the shelf but I don’t care. This is about more than sales volume. Thanks for your helpful posts. I grew garlic for the first time last year. It did so well I did it again 🙂 I planted music and another variety I got from a local grower. I love the music’s big bulbs and flavour. Now that I realize I can grow garlic (zone 2) I think I want to try a few more kinds. This is my 3rd year planting garlic (zone 3 Manitoba). 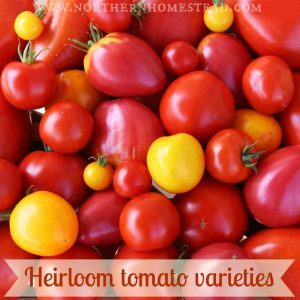 I got my seed from John Boy Farms which is a Manitoba grower with several varieties. Tried Chesnok Red, Red Russian, and Sicilian Gold (a soft neck variety). I tried the soft neck variety because most sites say it will keep longer than the hard neck. It dried down much quicker than the hard necks. We’ll see how it keeps. One question for you Anna. You said you planted your garlic in September. I usually wait until well into October. Do you find that you get bigger bulbs if you plant earlier? 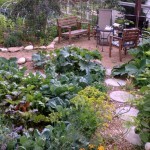 As usual, I appreciate having a blog to visit that focuses on zone 3 gardening. Thanks for the info! Interesting experience with soft neck garlic, thank you for sharing. Here in Alberta we can not guaranty that the weather stays warm till October. We might have a deep freeze before that. You want to plant garlic before the ground freezes. 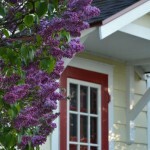 I do not think that it effects the size though as long as you plant before frost and snow. We just planted our garlic last night in a raised bed against our house in Calgary. We added compost and covered with about 2” of leaves. Is it adviseable to water the garlic after planting? If yes, should we move the leaves off before watering? (The soil was damp but not wet when we planted the garlic). Lastly, is it OK to have the leaves (for mulch) covering the garlic or should we wait a few weeks to put leaves on? I do not think there is a right or wrong in your questions. Either way is fine. Personally, I would not water and just leave it as you already did it. Leaves, however, do not make the best mulch to grow in. 2 inches of it might be compact by spring. I would monitor it and make sure you don’t have a compacted layer in spring where the garlic has a hard time to get through. 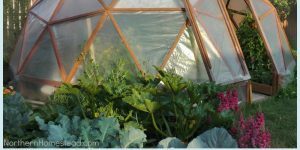 Or just mix in some compost or woodchips into the leaves covering now, that will prevent it from becoming compacted and it should be fine.